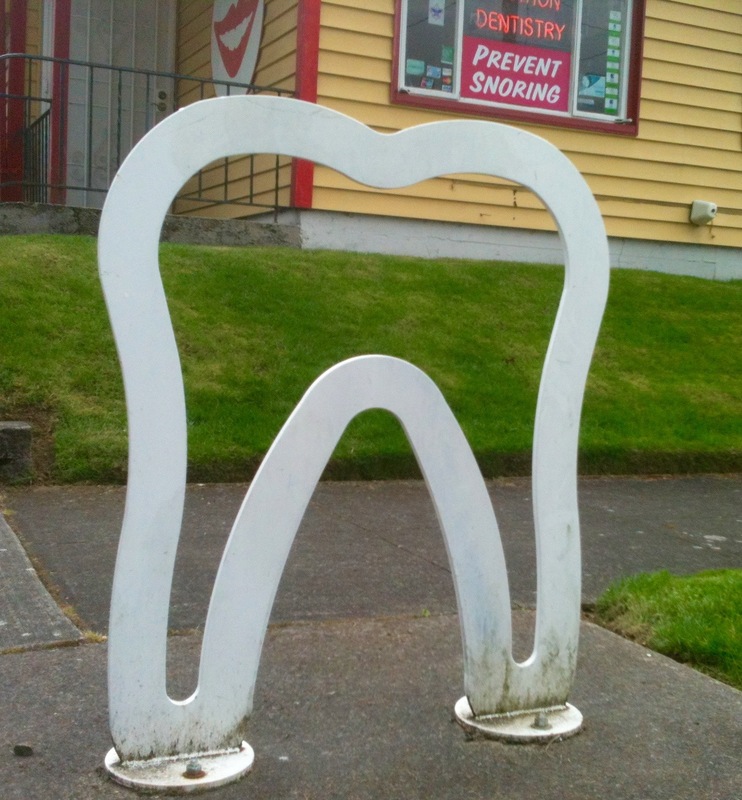 This golden tooth caught my eye in the Hollywood District of Portland. 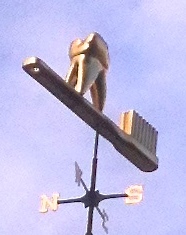 I appreciated the weather vane but it wasn’t until later that I realized the molar was surfing on a golden toothbrush. I had a minute before I had to be at the nearby Hollywood Theatre so I was only able to take one picture to treasure. I’m also an admirer of the fancy font used to describe this place of business. 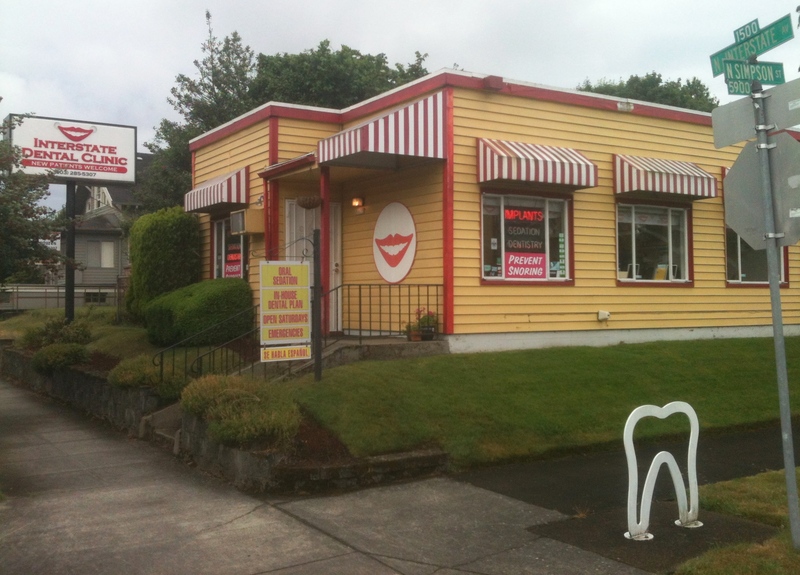 My concern is whether the dentist or dentists from this office are more focused on the design elements of the exterior of their facility. 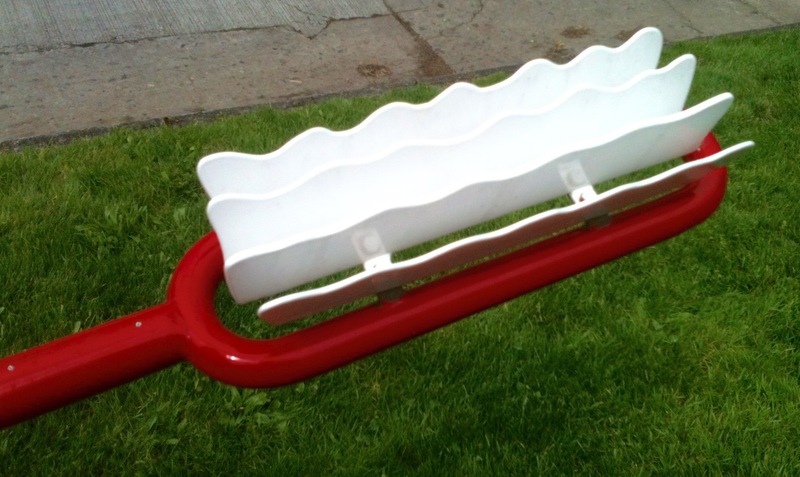 Could this possible distract them from bicuspids, molars and cavities? 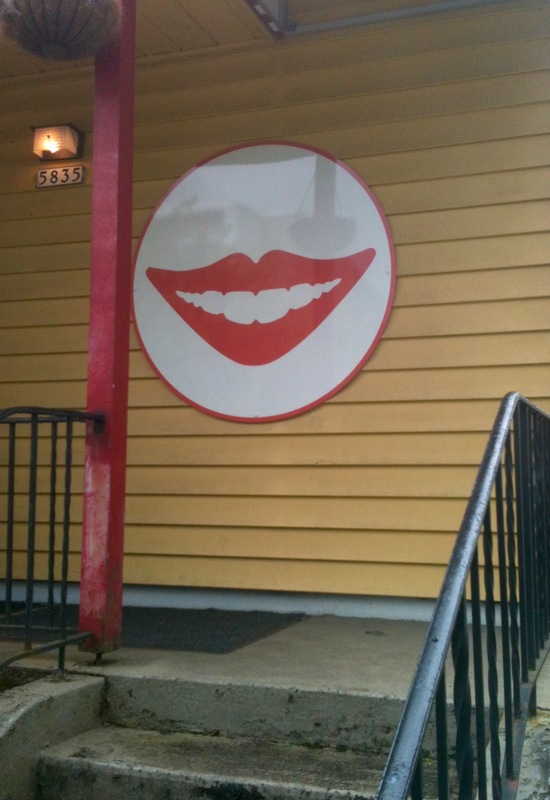 It feels wrong headed to question professionals in the field of dentistry. 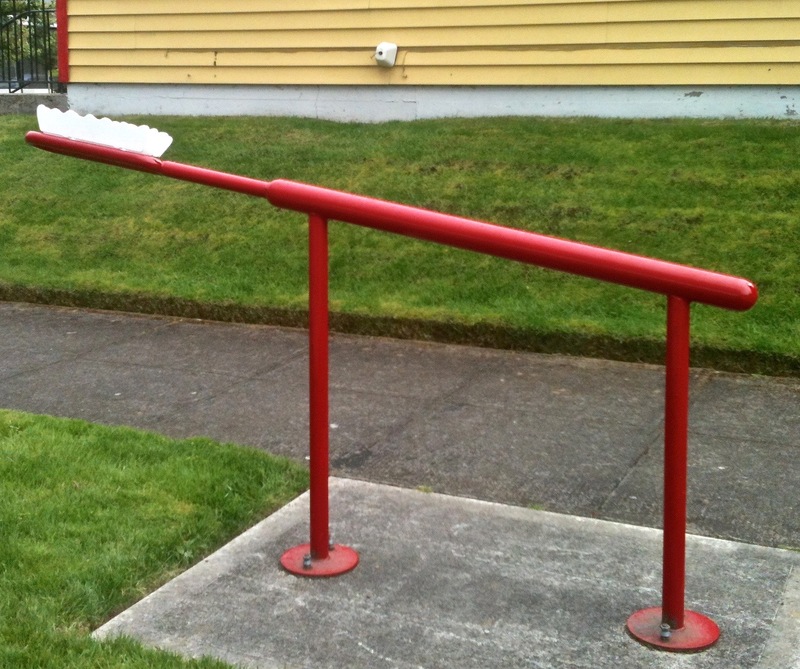 How much focus is really necessary on design elements once they’re chosen and affixed to a building? 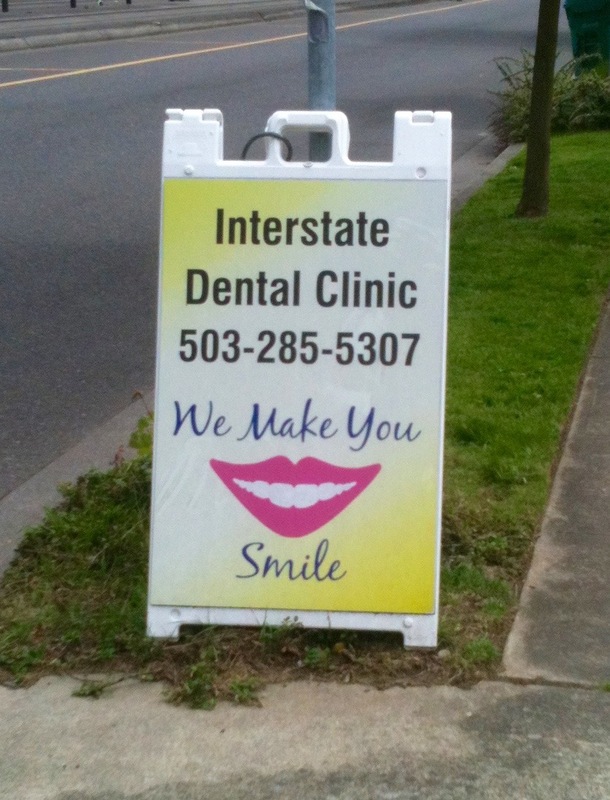 Unless they’re falling over, it’s probably easy to go back to thinking about what you have to think about when you deal with teeth, gums and gingivitis all day. 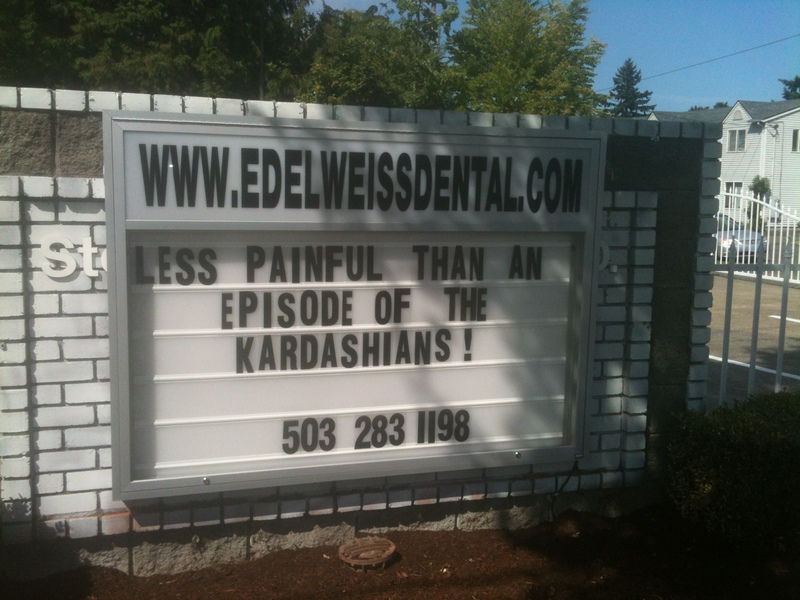 Maybe this is more of a subconscious worry about the possibility of encountering a distracted dentist. 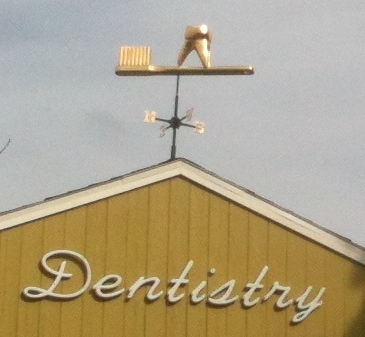 Right now it might be better to sit back and admire the striking elements that make up this unusual weather vane and marvel at the swirling font selection of the sign. 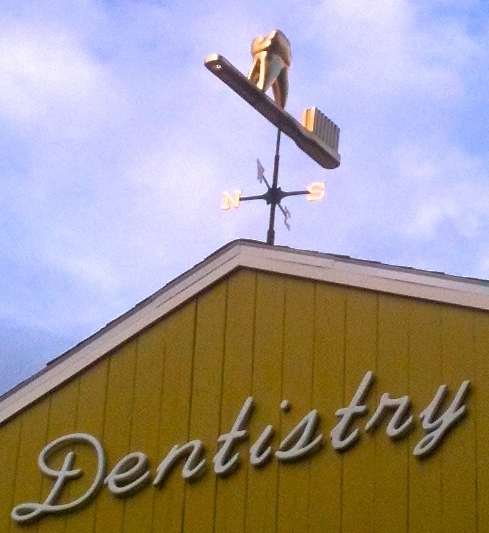 A couple of weeks later I grabbed this not so great shot from the car that proves that the vane rotates!